Unaccompanied Minors relish a cappella singing in barbershop style. 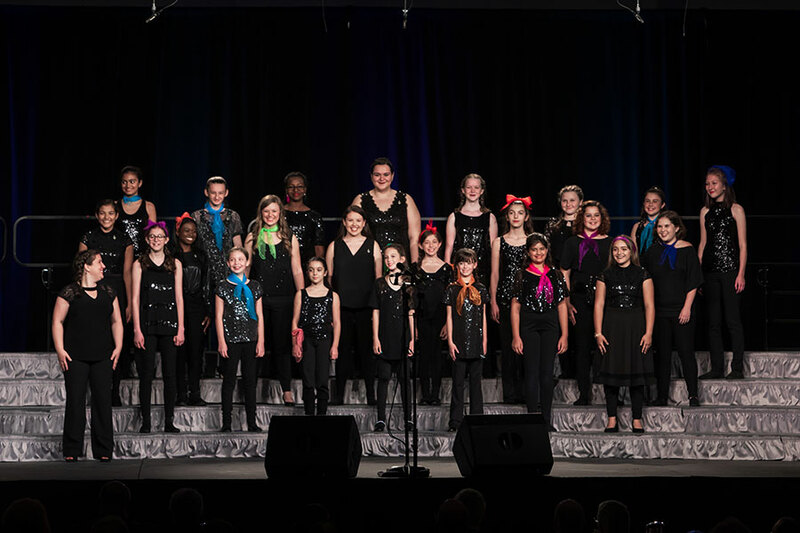 Unaccompanied Minors, a new a cappella chorus made up of girls and women ages 7 to 25, wowed the judges and the crowd last fall when they sang “If I Ruled the World” at an international competition in Orlando. Now, the talented singers are eager to compete this month at an area contest in Jacksonville against more mature singing groups from Florida and Georgia. They hope that performance qualifies them to sing at the 2019 internationals in November in Sandusky, Ohio. The Unaccompanied Minors group rehearses in Clermont and is the only female youth barbershop chorus under the patronage of Harmony Inc., an international, nonprofit organization of women who enjoy a cappella singing in the barbershop style. The young singers, most of whom are from the Clermont area, already have generated attention. They placed 14th at the 2018 international competition, an unheard-of ranking for a first-year chorus and a group of singers under the age of 25. They were awarded the G. Ruth Geils Memorial Award for the highest-scoring novice chorus. Her group received a standing ovation after performing its first song. The song relates to youths making a difference and “how much better of a place would it be if we actually let kids have a say in how their world is going to look,” Tiana says. The young singers say the positive feedback they received was thrilling. Tommie Tracy, 12, cherishes rehearsals and performing with her chorus sisters. Tiana cherishes the passion and drive of her young singers, many of whom were new to a cappella singing before joining Unaccompanied Minors. The group was formed a little more than 18 months ago with the encouragement of Kristin Gunasekera, a member of Sisters of Sound, a local women’s barbershop group that’s also a chapter of Harmony Inc. She’s the mother of Daphne and Scarlett, both members of Unaccompanied Minors. “Kristin always wanted to put together a kids’ group, so she said, ‘Let’s do this! They can do it,’ and I completely agreed,” Tiana says. However, one of the challenges was working around the young group’s busy schedules since many of the singers are busy with school, dance, theater, and other activities. Rehearsals last seven hours on the first Saturday of each month. Lindsay Fontana believes Unaccompanied Minors has been a great confidence booster and team-building opportunity for her twin daughters, Sophia and Olivia, 9. 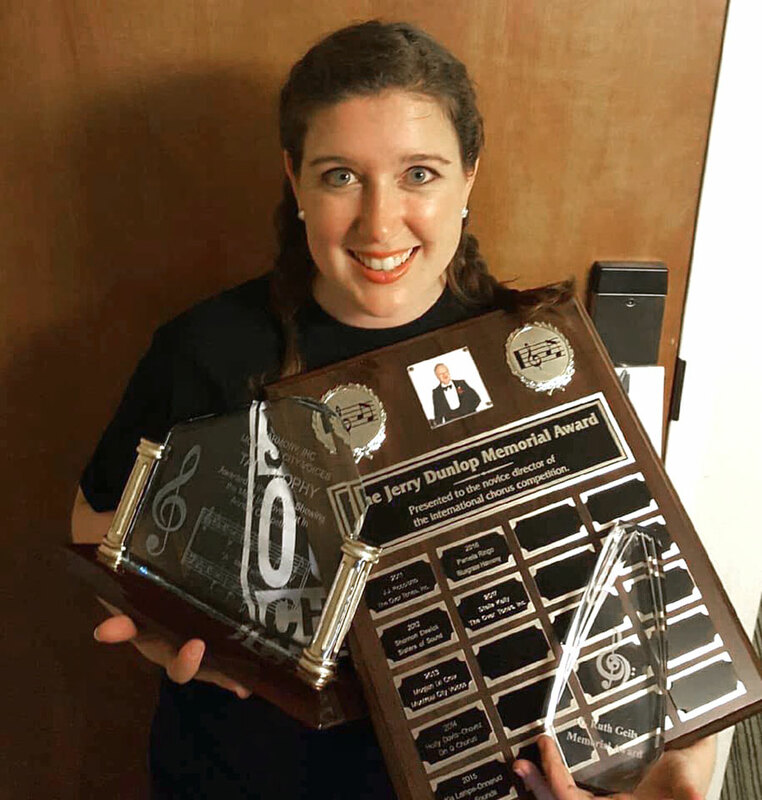 At the April 5-7 area contest in Jacksonville, the group will be judged on performance, singing, and music, based on a rubric, and the score will determine whether or not they qualify for the 2019 international competition. The chorus is open to new voices. Females ages 7-25 throughout Central Florida are invited to audition for Unaccompanied Minors. Previous singing experience is desirable but not mandatory. After an audition process through an online submission, chorus hopefuls will receive two barbershop songs to learn on their own.